As many Tales fans know, ToP has a lot of ports and remakes. This can get pretty confusing when it comes to picking one to play. I’m making this to breakdown the differences between all of the ToPs and give some info on their translations. There will be minimal spoilers since this is mainly a resource for new players. Note: If you want really detailed gameplay info check Gamefaqs. I’m more of a character/story explanation person. HOW MANY ToPS ARE THERE AND WHEN DID THEY COME OUT? Any big differences between them? 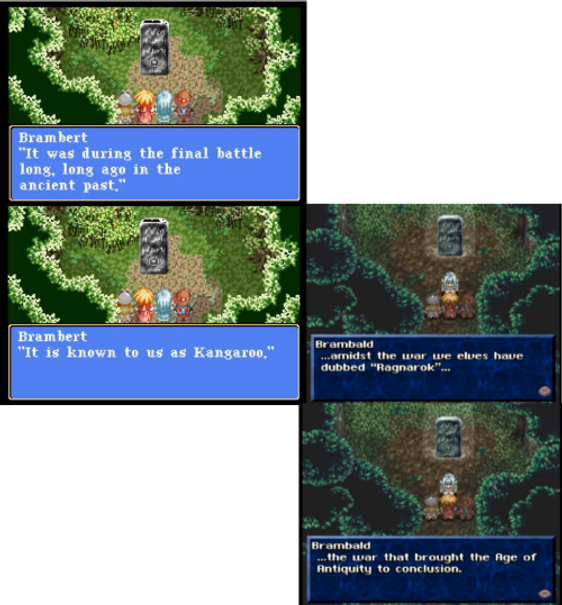 To start out, the PS1 Remake of the game reworked the script. It added a lot of detail to the dialogue at points. What was added ranged from expanded character backgrounds to world-building. The PS1 Remake also added skits, the option to let the side character Suzu join the party, sprites modeled after Fujushima’s art, new backgrounds, it made Chester useful, a cooking system, and it greatly reduced the INSANE encounter rate from the original Tales of Phantasia. The GBA version took out a lot of the reworked script, sometimes at points where it made no sense to do so. It also completely removed the skits, which combined with the script thing, removed a good chunk of the character development. GBA ToP also had to compress the music, so tracks went from this to this. It seems to use resized versions of the SNES backgrounds along with resized PSX sprites. A lot of the changes were likely made because of the smaller storage capacity of the GBA cartridge. It did add a sidequest centered around Brambert getting all feels-y for a half-elf along with some other dungeon stuff, and made the game easier overall. 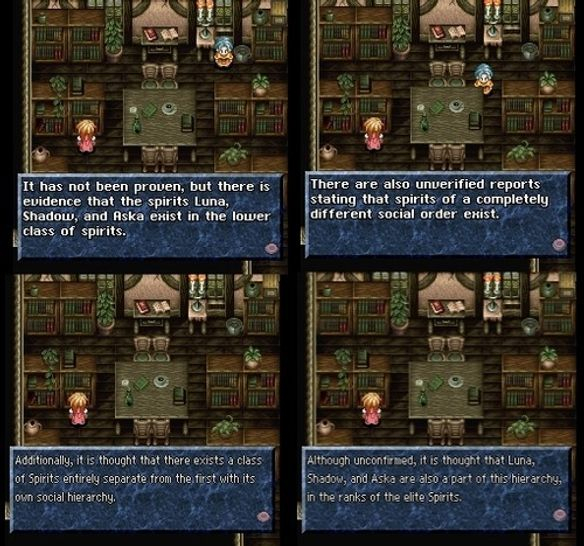 Full Voice Edition ToP mostly just added voices to story events of the PS1 Remake, extended versions of new side quests from the GBA version, and remastered the game for the wider PSP screen. The version also has sprites that are less cutesy and some new menus. It didn’t change a whole lot as far actual battles go from what I understand. Tales of Phantasia X came packed with Narikiri Dungeon X as a kind of special anniversary edition. It kept the PS1 in-game look, remade the battle sprites?, added a new character, and took out the spell pauses that alllll of the other ToPs had. TAKING OUT THE DAMN PAUSES IS AN A+ IDEA, it makes the game much more fast paced and greatly reduces the amount of time where I sigh heavily and wait for Klarth to stop being himself. When it comes to ToPX I am bothered by the addition of Rondoline. She retcons a lot of plot details, her ring works against the world mechanics, she doesn’t interact much in party conversations(in ToPX, she’s a big player in NDX), and she’s not very available in the ToP part of game. That said, she’s not a bad character in and of herself. I just wish Namco would have put more thought into adding her into the game without taking away from pre-established character/plot development. I guess it’s worth the super fun new battles though. Finally, the iOS FVE port that just came out. From what I’ve heard it’s a big pain in the hee-haw to control, but at least it’s priced at free. FREE TALES OF PHANTASIA WOOOOO. There are 3 complete translated versions of Tales of Phantasia. A patch for the original SNES ToP, 2 patches for PS1 ToP, and a official localization of GBA ToP.I’ve created a chart that compares each to their original Japanese counterparts. Now I thought that, and the rest of the swears, were HILARIOUS the first time that I played the game when I was 11 years old. But 12 years later I’m not that impressed. I noticed while I was making my comparison post earlier that they flipped some dialogue too. I thought I made a mistake, or probably checked the wrong LP for screens. But as far as I can tell I didn’t? Dejap’s patch is not very accurate but I guess it’s better than nothing if you really want to play the original Tales of Phantasia in English. Okay it’s probably clear from what I said earlier that I really don’t care for this version of ToP before the localization. Where do I start- Did you notice how huge the English dialogue boxes are compared to the Japanese version in my comparisons? 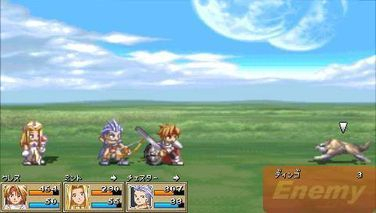 It takes up a third of the screen in the official Localization. This localization also made no effort to keep its terms consistent with Symphonia, such as translating デリス・カーラーン/Derris-Kharlan to “Derris Karren”. It also turned アセリア/ Aselia to “Aseria” . I’m not really going to go into the character name changes because I know it’s a sore spot for some. I would like to point out that Namco always romanized クレス and クラース as Cless and Klarth in official Japanese stuff, and it was disheartening for long time fans to be told that they were wrong to have been using Cless and Klarth for the 11 years(NA release date 2006) it took ToP to officially leave Japan. Most European versions of the localization also went back to using Cless and Klarth, along with adjusting many of the other name changes. The German translation kept Cress and changed Arche’s named to Amber. I guess because Arche is the German word for Ark? Another thing that comes up a lot with GBA ToP is the Kangaroo thing present in the US version and fixed in the PAL version. 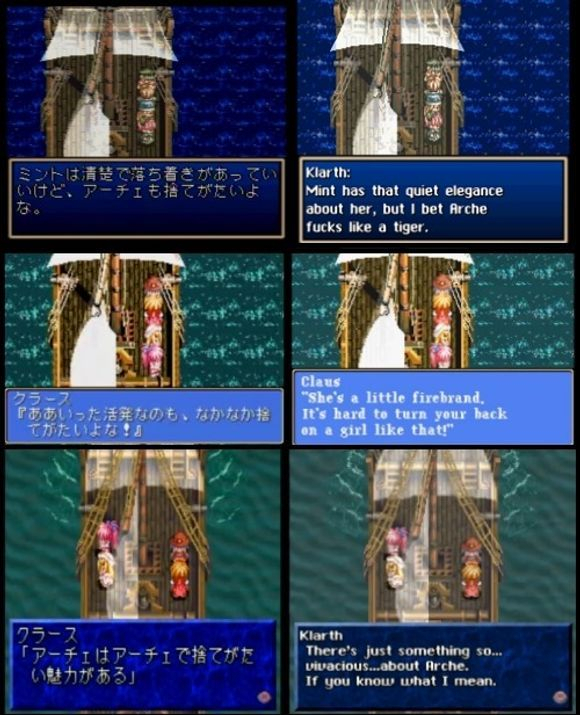 I’m comparing it with Phantasian Production’s ToP translation, even though that’s the revised PSX script, to highlight how they got the term and the context horrendously wrong there. Ragnarok was not a battle in ToP, it was a full-blown war. The game is very clear on that. ALL HAIL THE KANGAROO WAR. As much as I do not care for this version of ToP, I will say the translation is decent overall. It is worlds more accurate than Dejap. If you really want a Tales game for your ol’ GBA then it’s the ToP for you. I’ve just been referencing Phantasian Production’s patch so far, even though there’s 2 patches and A0’s came out first; because A0’s translator is not proud of their ToP translation and feels that it doesn’t do ToP justice. They did do a better job at translating one thing that I’m aware of, one of the books in Klarth’s library. Phantasian on the top row mistranslated it. A0’s is a little off too, but not as much. So Phantasian does mess up a few things. There are also instances where their patch has a character speaking like they’re agitated when the character uses a calm, inquirious, tone if you check it against FVE ToP. But they weren’t translating FVE so it’s possible that they didn’t notice. Overall the Phantasian’s patch is the version of ToP that I recommend to friends. It’s not perfect but it’s definately the best as far as consistency with terminology, characterization, and ToS connectivity goes. 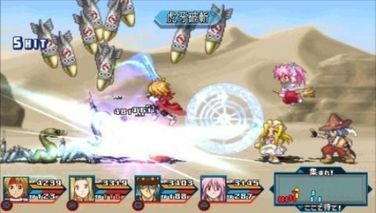 Also it should be worth noting that Absolute Zero is currently working on a patched version of ToPX/Narikiri Dungeon X. I’m not crazy about the retcons in this version of ToP and why on earth Namco thought Albert would be a good addition to NDX. But that’s the best version of ToP from a gameplay perspective, and it’s always great to see more Tales games become accessible to the English language crowd. I think that’s basically it. If you’d like to read further I’d recommend checkingPhantasian Productions Localization page.